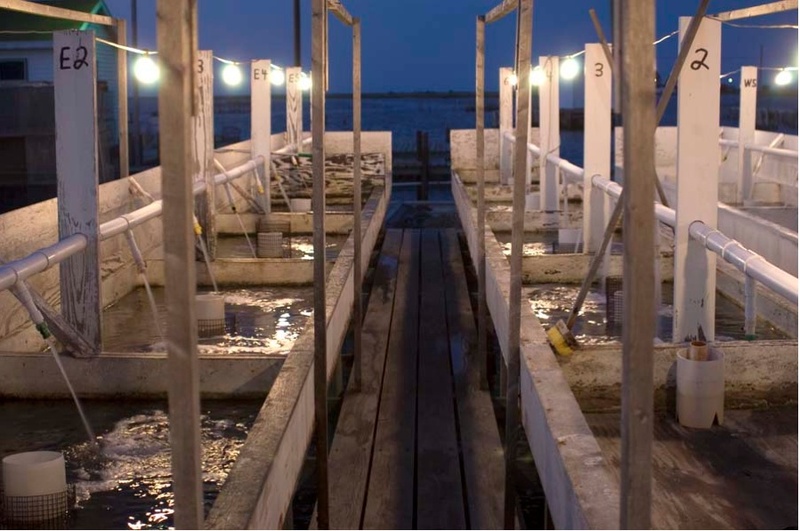 ← Missing Soft Shells! Oh no!!!!! What you need. Pretty simple! 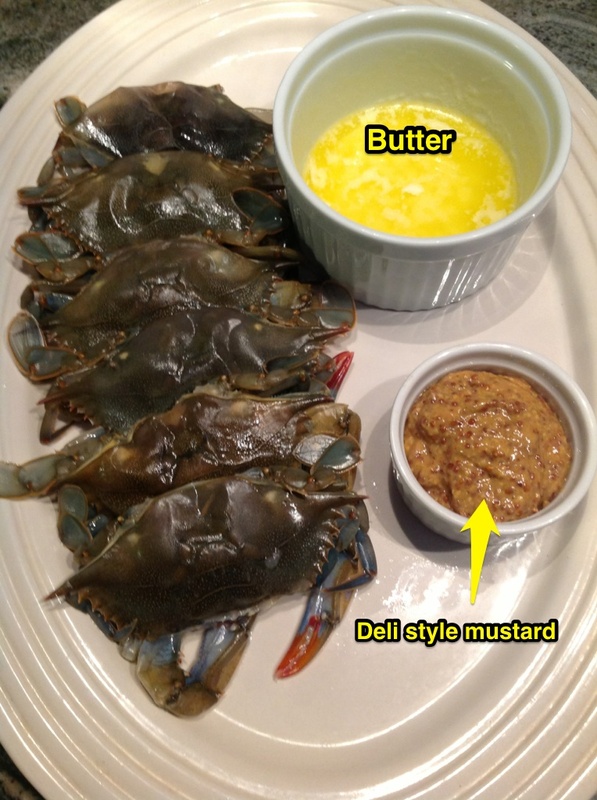 While the grill is heating up, mix the mustard with enough melted butter to get a liquid paste. Brush this on the crabs. 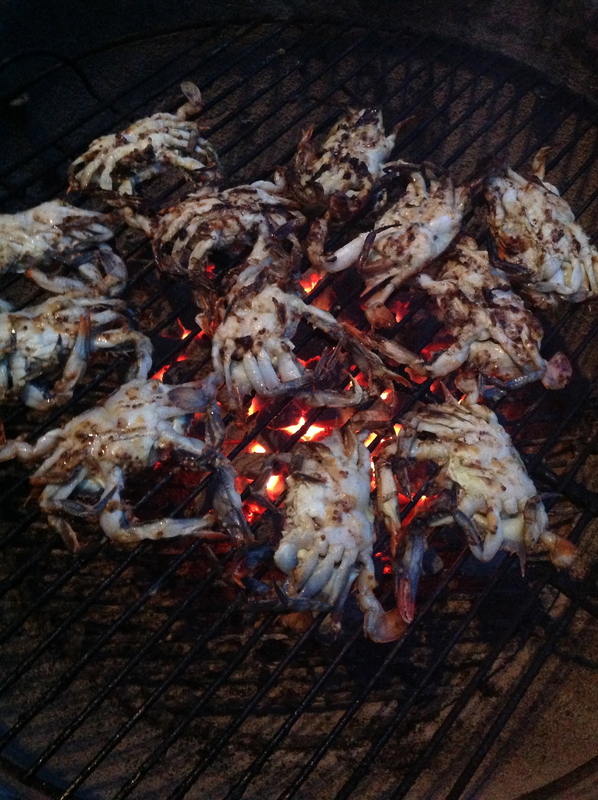 Crabs ready for the grill! 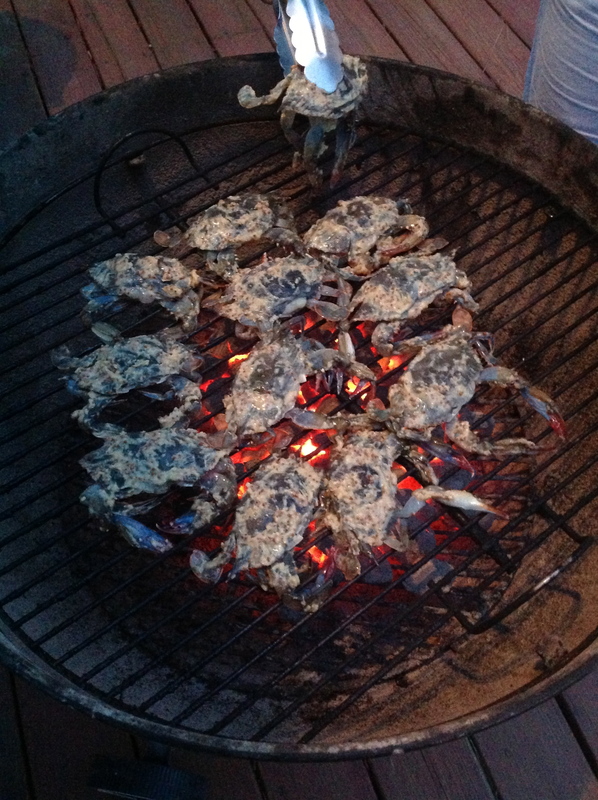 Once the coals have stopped flaming, place the crabs on the grill for 2 minutes on each side, as shown below. …and 2 minutes on the other. Ready to plate ‘em up! Serve immediately with a side of sauteed veggies. Serves two. Open a bottle of chilled Pinot Gris and you’ve got yourself the makings of a mighty fine feast that is simple, tasty and WAY appropriate for the deck – the one on the back of your house or the one on your boat! 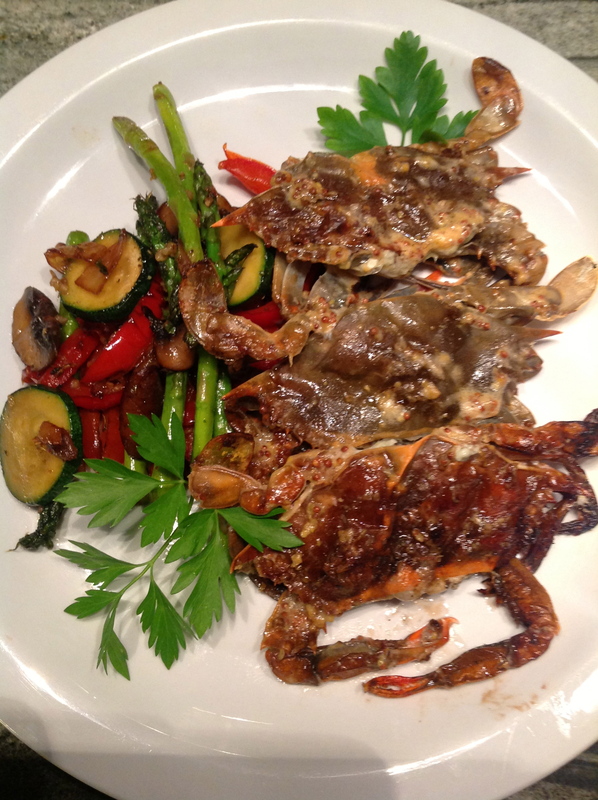 This entry was posted in Crabs, Dinner, Seafood`, Soft Shells and tagged Food, soft crabs, soft shell crabs, soft shells, Soft-shell crab. Bookmark the permalink. 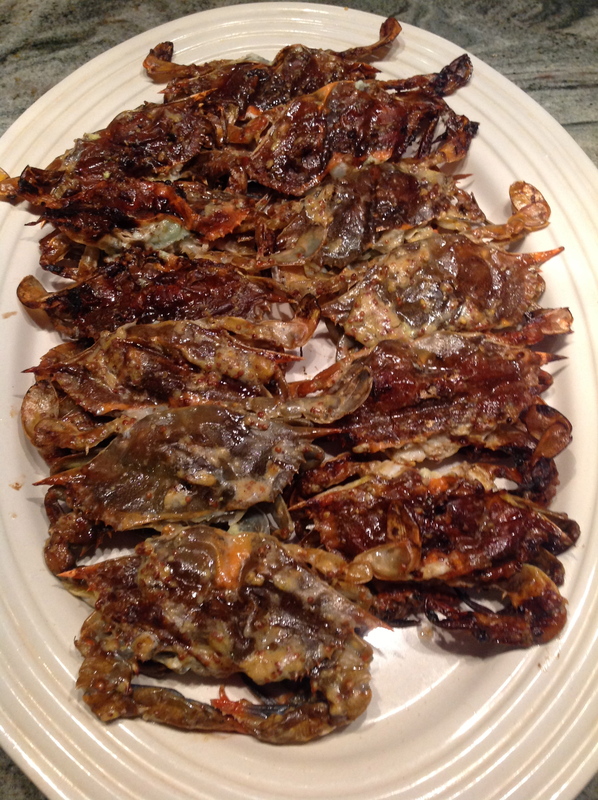 1 Response to Soft Shell Crabs are in the House! Just finished my dinner but my mouth is watering. 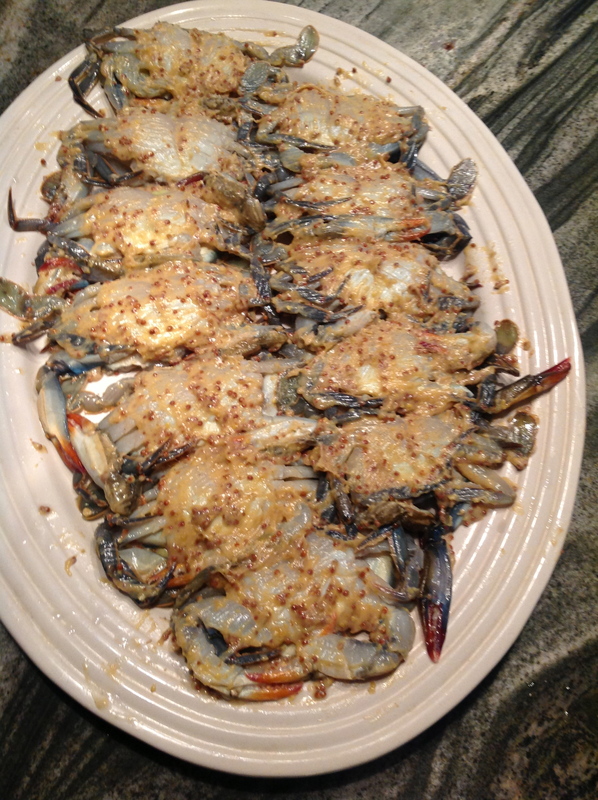 Since Wanda has a way with cooking, I know how delicious these crabs can be!